SME Digital Leap Awards will recognise SMEs that have made outstanding progress in their efforts to transform their business through digital capabilities. Read more here. About 300 small- and medium-sized enterprise (SME) owners and representatives gathered at the Temasek Polytechnic for the annual NTUC U SME Symposium 2018 on 24 May 2018. Read more here. 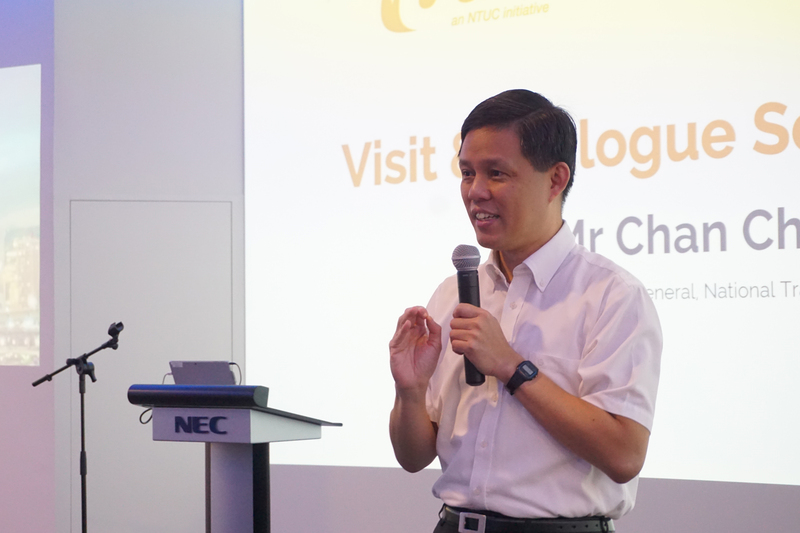 NTUC Secretary-General Chan Chun Sing re-emphasised the need to innovate for SMEs to remain globally competitive in today's volatile and ambiguous business landscape. Read more here. Senior Minister of State and U SME Advisor Chee Hong Tat, along with U SME Director Yeo Guat Kwang and industry representatives, discuss the implications and opportunities for SMEs at a recent Post-Budget Dialogue session. Read mor e here. Can Salary alone Attract and Retain Talent? U SME and U Associate Exchange held an intimate sharing session on 26 January 2018 to discuss about talent management for SMEs, and how SMEs can leverage on employer branding to woo candidates of calibre. Read more here.